Russia’s state-owned oil company may provide its Venezuelan counterpart a much needed loan of $5 billion. Venezuela’s oil company, PDVSA, is in desperate need of capital in order to help boost oil and gas production. In exchange for the loan, Reuters reports that Rosneft could gain greater access to PDVSA’s oil and gas reserves. As it stands, Rosneft often only takes in discounted revenues from the Petromonagas joint venture, which processes and sells heavy oil at reduced rates to the local Venezuelan market. Rosneft is seeking more control, plus the ability to export production, which will bring in much higher revenue. The loan comes only a few weeks after Rosneft agreed to invest $14 billion to help boost Venezuelan oil and gas. President Nicolas Maduro, along with the head of PDVSA, met with Rosneft’s Igor Sechin at the end of May. 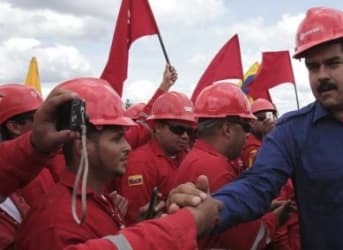 Venezuela has stated that it hopes to double oil production to 6 million barrels per day, most of which it plans to source from the Orinoco Belt, a source of heavy crude. Related: How Much Energy Does The Super Bowl Use? That goal is likely way too ambitious, as PDVSA has not only failed to ramp up output, but Venezuela has actually seen its oil production fall over the past decade. Of course, decline is not inevitable, and Venezuelan officials think the Russian investment is just what PDVSA needs. Venezuela is sitting on an estimated 298 billion barrels of oil, the largest oil reserves in the entire world, more than even Saudi Arabia. It could have even more locked away in the Orinoco Belt in the form of extra heavy oil. The map below depicts four major sections of the Orinoco Belt. National ownership has allowed Venezuela to divert oil revenues to social causes. But PDVSA has also presided over a decline in production due to insufficient investment. That alone didn’t present the acute crisis Venezuela now finds itself in, but the collapse in oil prices threw these problems into sharp relief. That is why it is now turning to Rosneft for help. PDVSA is also considering another unconventional strategy. It is looking into the possibility of blending some of its heavy oil with lighter forms of oil from fellow OPEC members. PDVSA’s chief Eulogio Del Pino says that blending heavier and lighter oil could offer the world a new source of medium crude, which could compete against lighter oil from North America. “We have several countries interested in doing that because that means synergies,” Del Pino said while on a trip to New Delhi. “Nigeria is interested, Algeria, Iran…Angola too,” he added. If they move forward, the plan would build on a pilot scheme Venezuela had setup with Algeria. But for a country so highly dependent on oil, it is ultimately at the mercy of global price swings. Oil makes up 95 percent of Venezuela’s export revenues. For that reason, there is little room for optimism, even with investment from Rosneft and the blending scheme. Moody’s raises the prospect of a default in 2016 as Venezuelan coffers run dry. Moody’s rates Venezuela’s credit at CAA, or “speculative and subject to very high credit risk.” Related: Has U.S. Ethanol Production Topped Out? President Maduro is struggling to contain the worsening economic crisis, high inflation, and a horrific crime rate. Foreign exchange is running low and the currency has lost more than 80 percent of its value. The economy has suffered from shortages of basic goods, such as food, medicine, household items. Maduro has thus far had few answers to these festering problems. 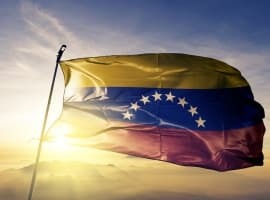 The only way out – short of a massive rally in oil prices – is for Venezuela to significantly increase oil production. Still, even with the help of Rosneft, such a prospect remains years away. Russia lacks technology and capital to maintain its own oil production. Russia cannot help Venezuela. The obvious cure for Venezuela is to apologize to ConocoPhillips, and ExxonMobile. Pay reparations. 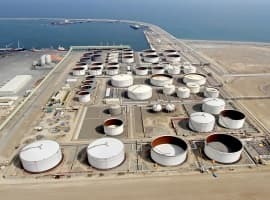 Return property to the US oil companies. 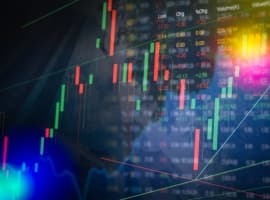 Accept a smaller share of profits due to the risk of confiscation. After twenty years Venezuela will be prosperous again if they remove the socialists.